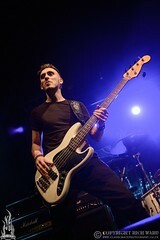 It’s an early start at the Assembly for the three bands, so much so that by the time we get to the venue Myke Gray is just taking to the stage. 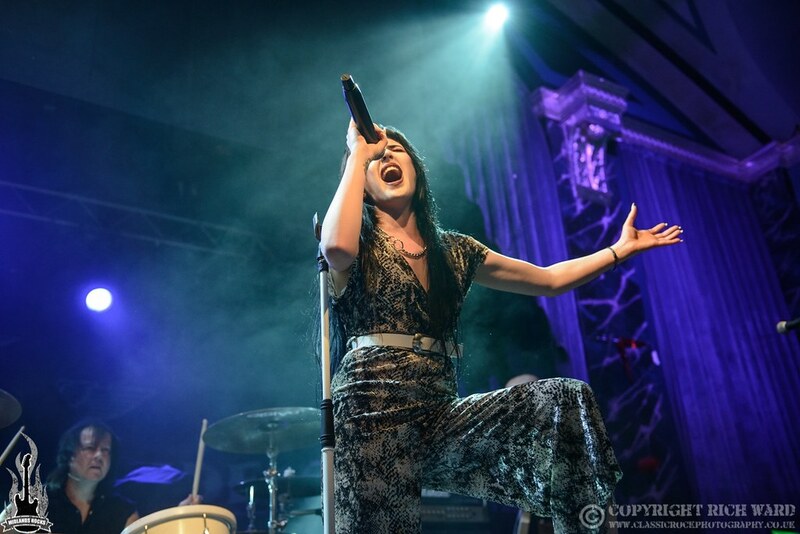 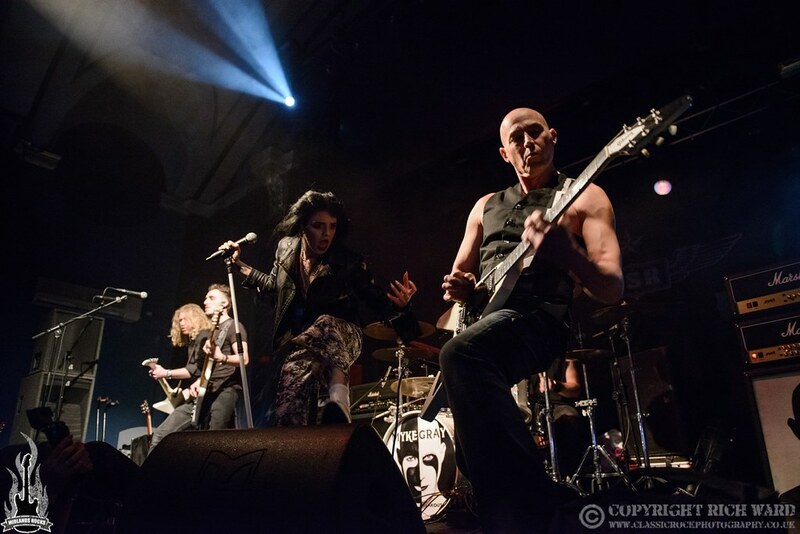 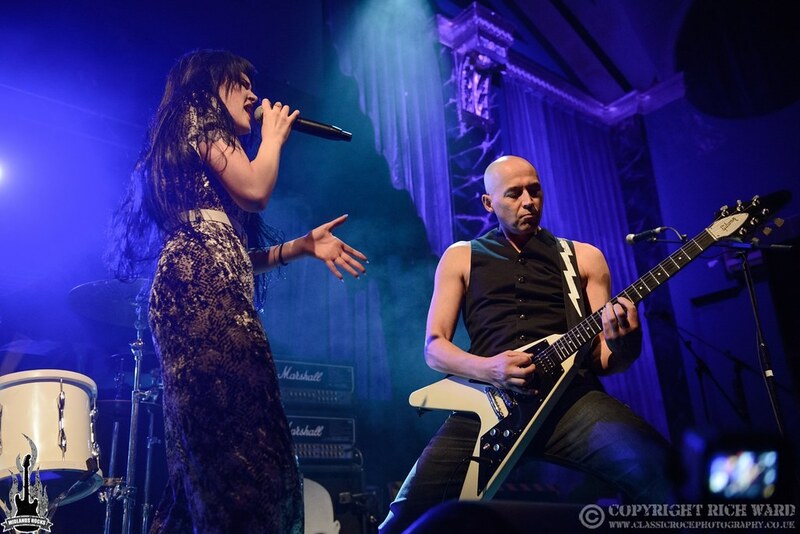 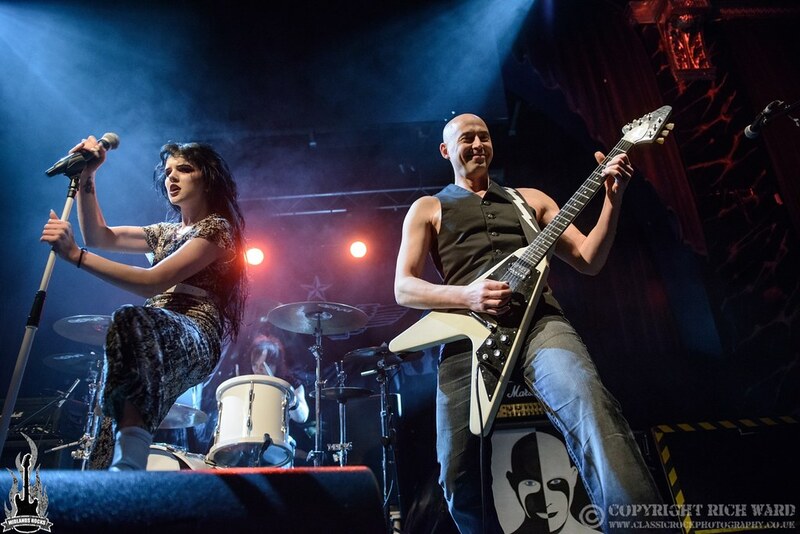 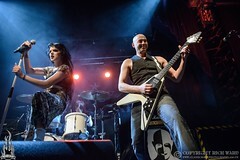 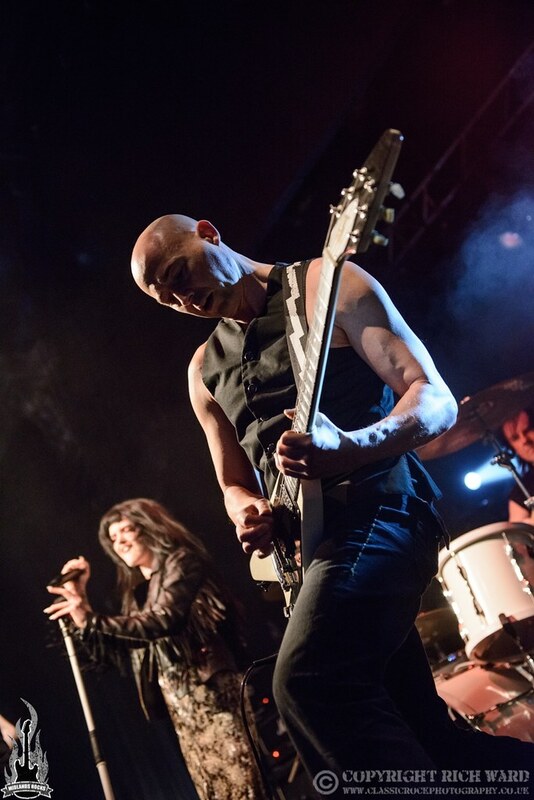 Earlier this year, the ex Skin / Red White & Blues man had assembled a new band fronted by Blackwater Conspiracy’s Phil Conalane so it was a surprise when they hit the stage with a female vocalist. 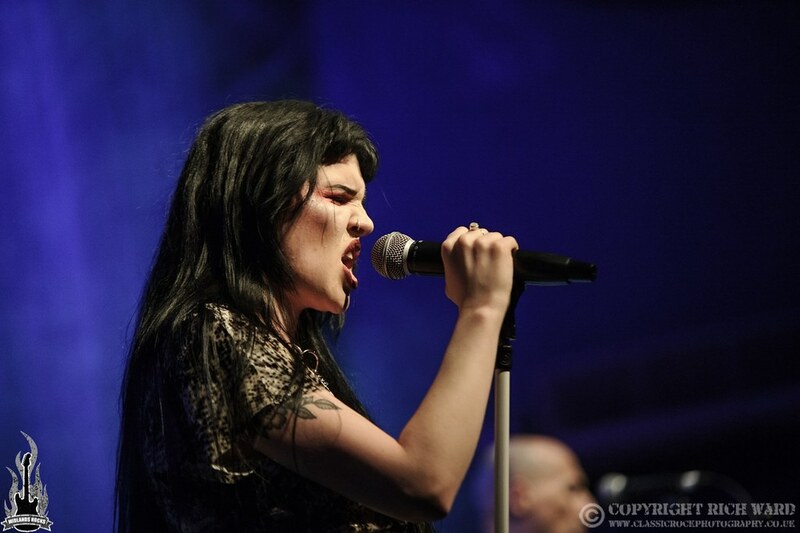 It turns out that Kim Jennet has a pretty powerful and impressive voice. They turn in a tight and impressive set with a predominant leaning towards Skin songs; ‘House OF Love’, ‘Take Me Down To The River’ and ‘Look But Don’t Touch’ are all present and suitable crowd pleasers, but it’s the final song; ‘Shine Your Light’ with its extended outro that really whips up the crowd to a frenzy. 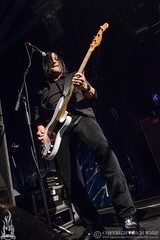 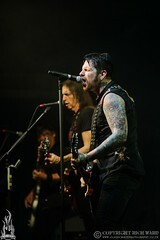 They proved to be a good choice for a support and warmed the crowd up for what was still to come. A week or so before this gig there was on online discussion about Black Star Riders when someone piped up that they had no interest in seeing a tribute band. 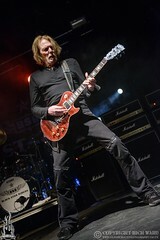 A somewhat odd comment given that the majority of Thin Lizzy chose to change their name out of a desire to move forward with new material and to keep the legacy of Lizzy separate. 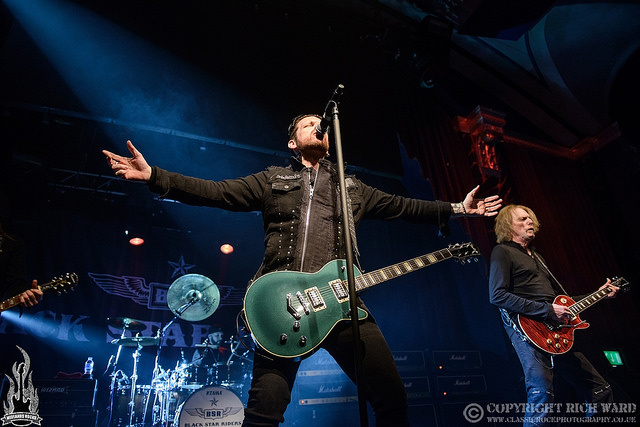 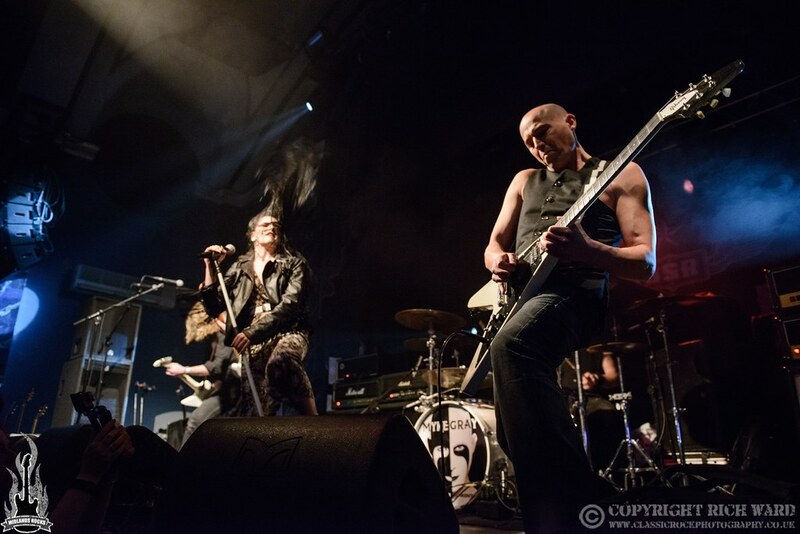 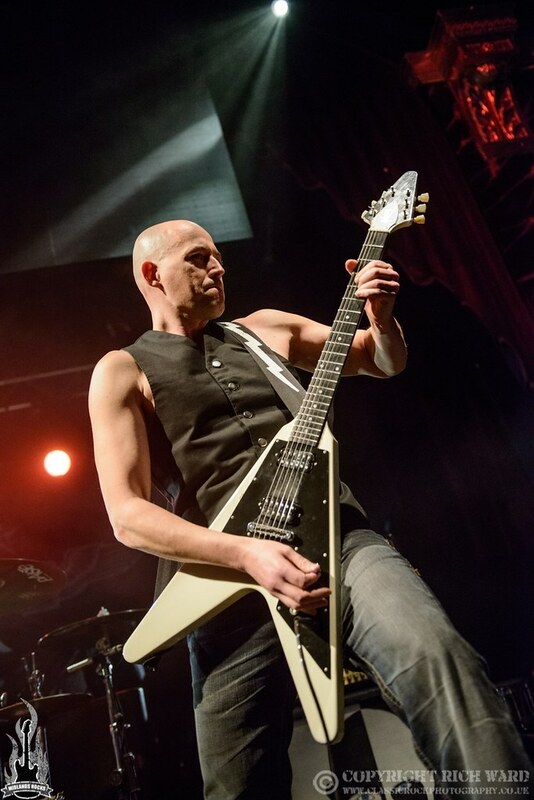 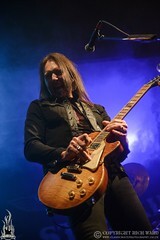 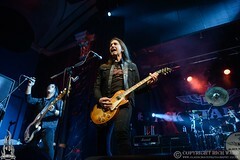 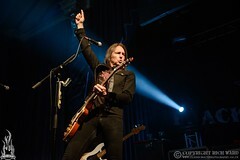 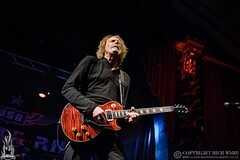 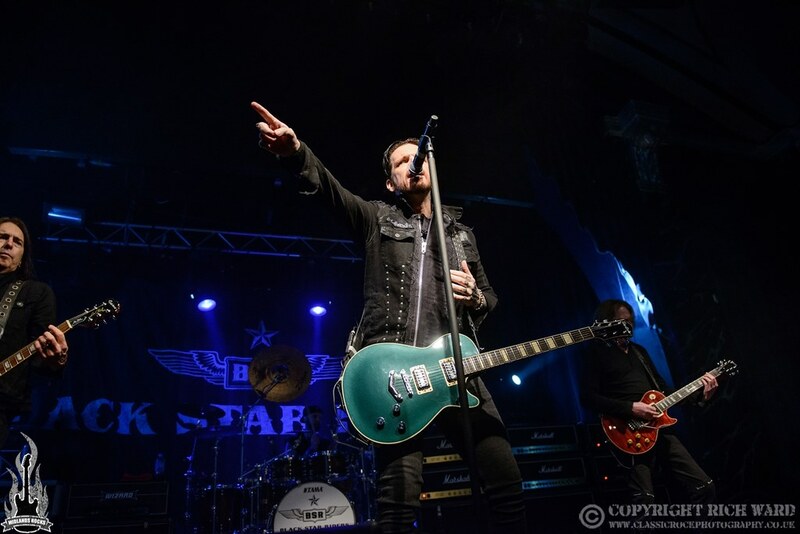 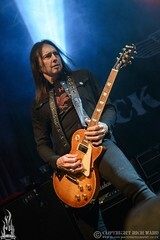 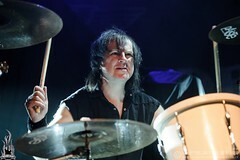 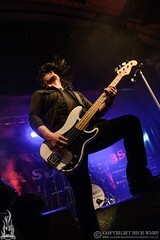 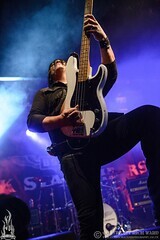 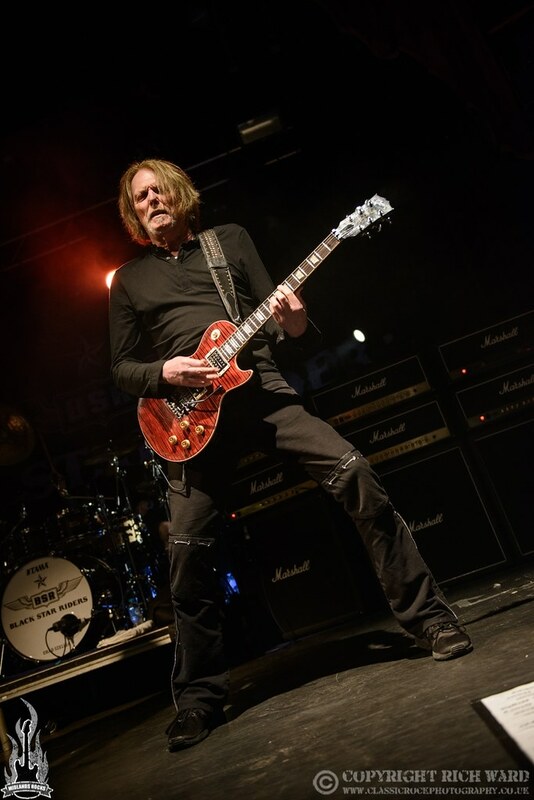 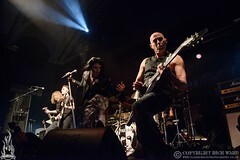 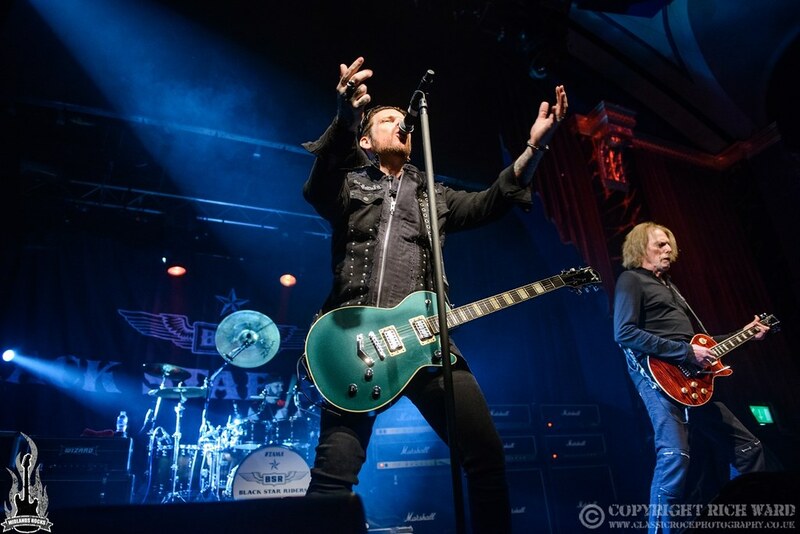 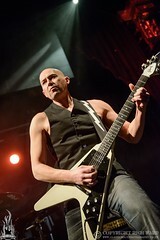 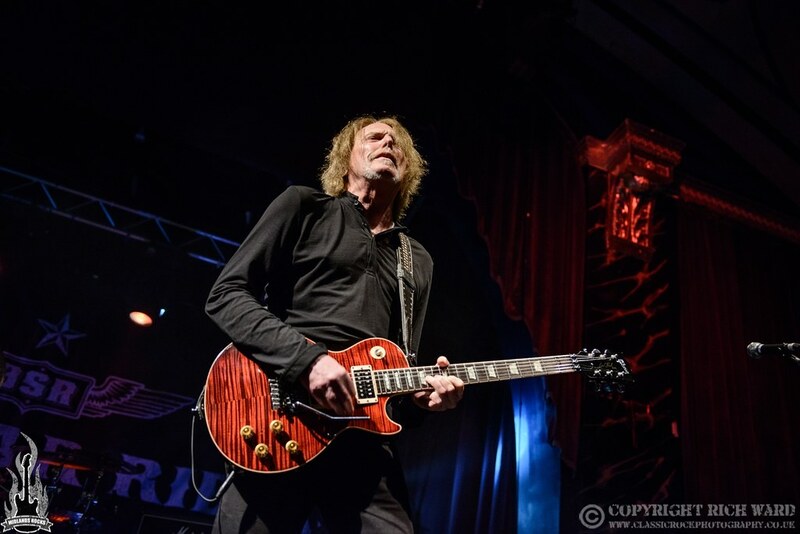 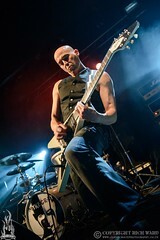 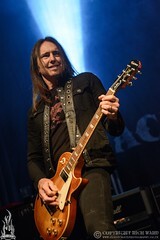 The fact that it’s exactly 5 years to the day since Midlands Rocks caught Black Star Riders’ first Midlands show (at Wolverhampton Wulfrun Hall) helps to put it in perspective what just what BSR have achieved in that time; 3 albums, each arguably stronger than the last and a set that now includes just two Lizzy numbers. Also in that time the songwriting partnership of Warwick/Johnson has flourished and become more dominant which has helped give BSR their own identity. 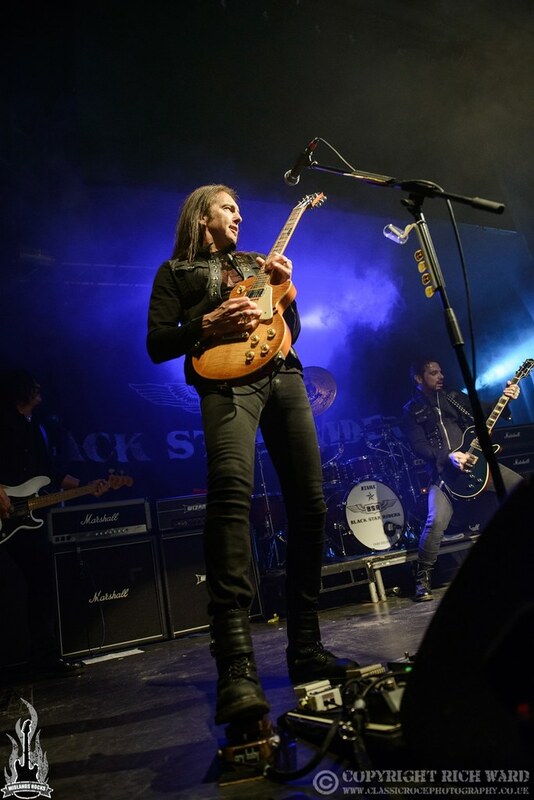 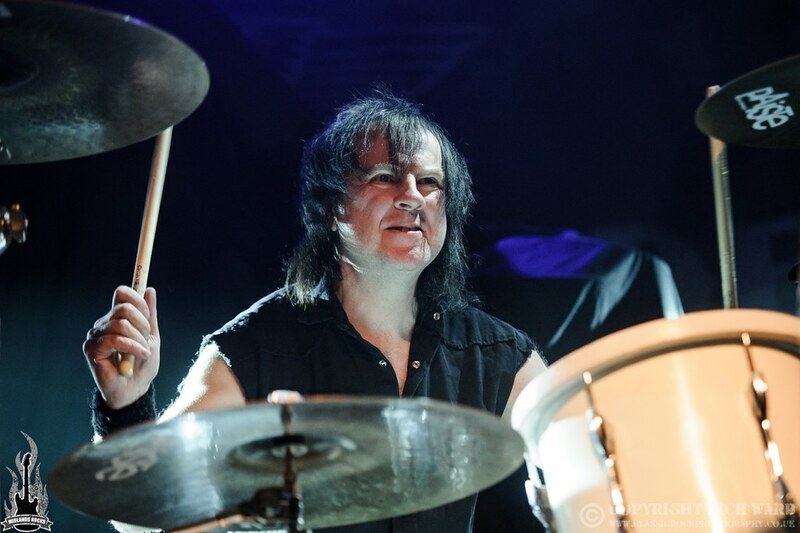 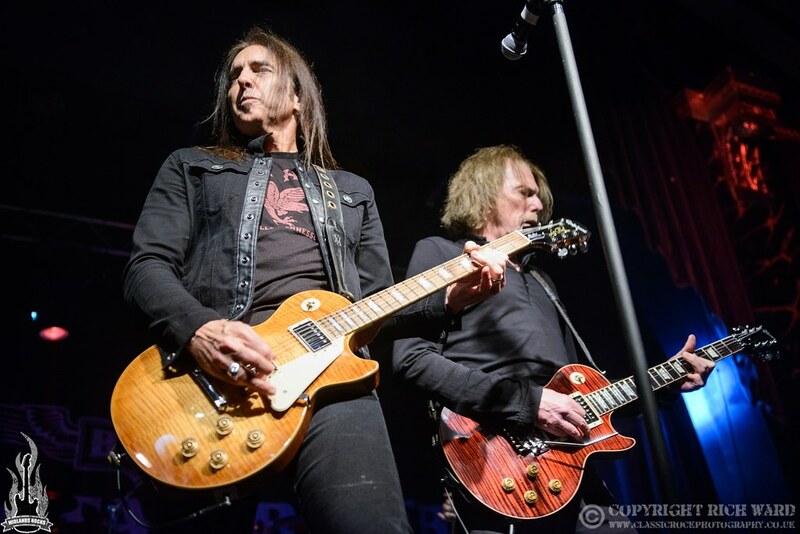 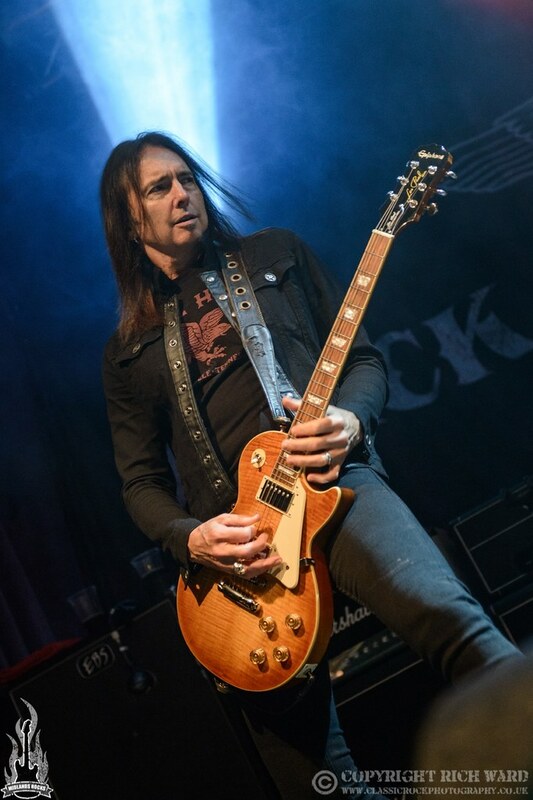 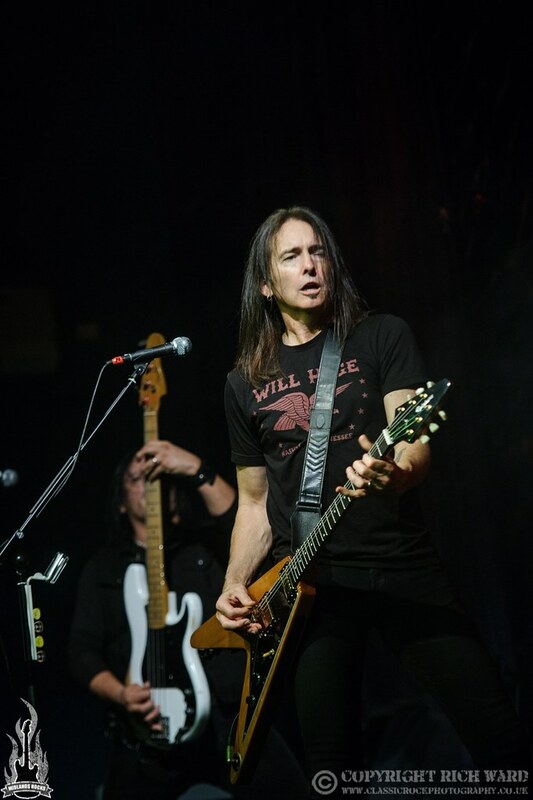 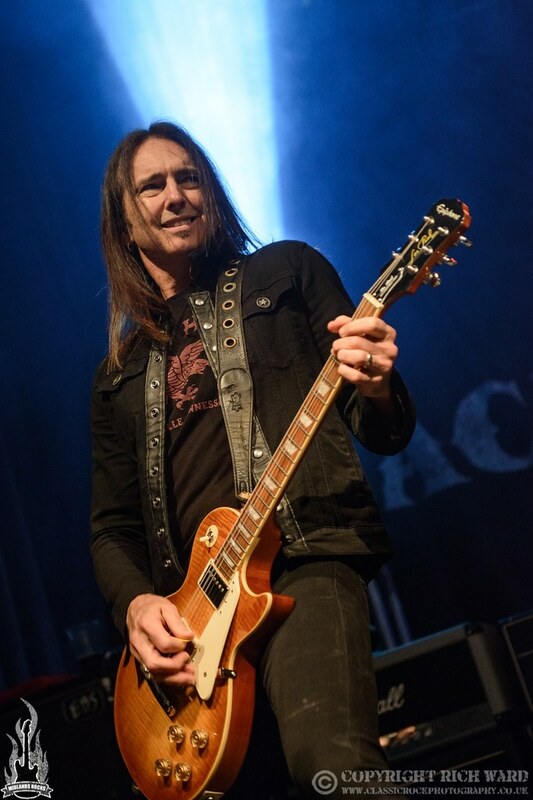 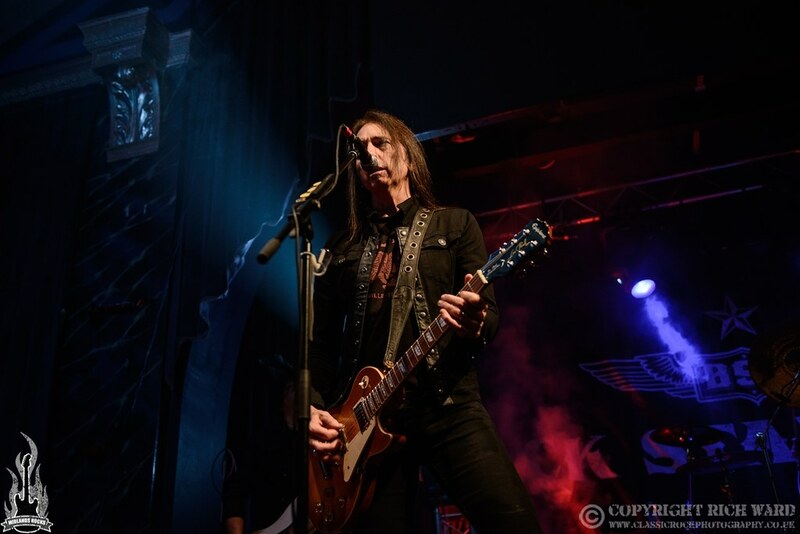 It will therefore be interesting to see where Black Star Riders will go from here with Damon Johnson having announced that these dates will be his final ones with the band as he moves on to new pastures. 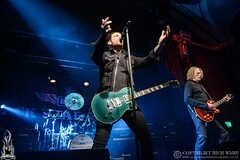 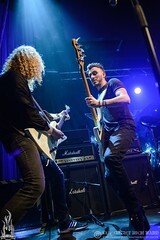 They open with the unrelenting groove of ‘Bloodshot’ before following swiftly with ‘All Hell Breaks Loose’ and ‘Jailbreak’, the sole Thin Lizzy original, comes early in the set. 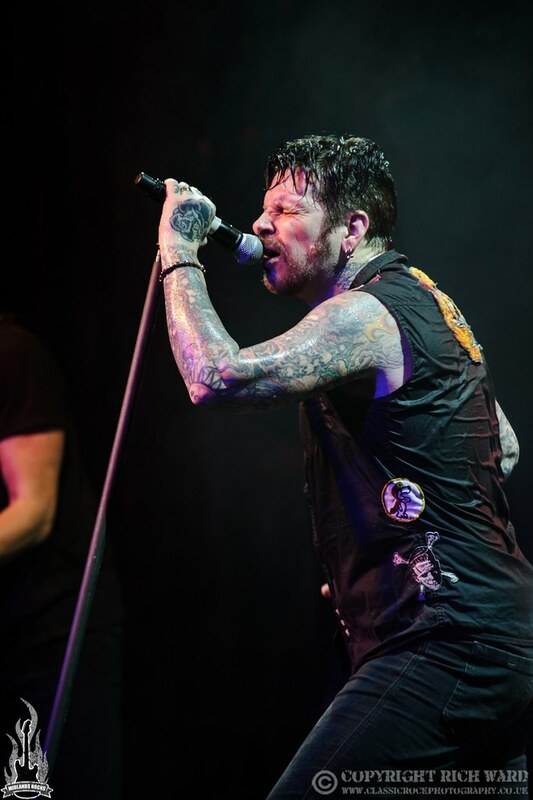 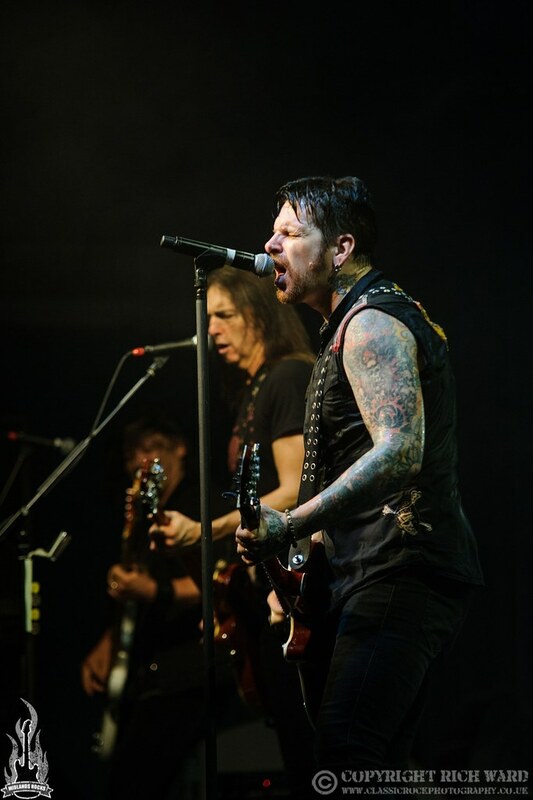 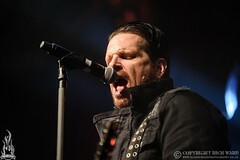 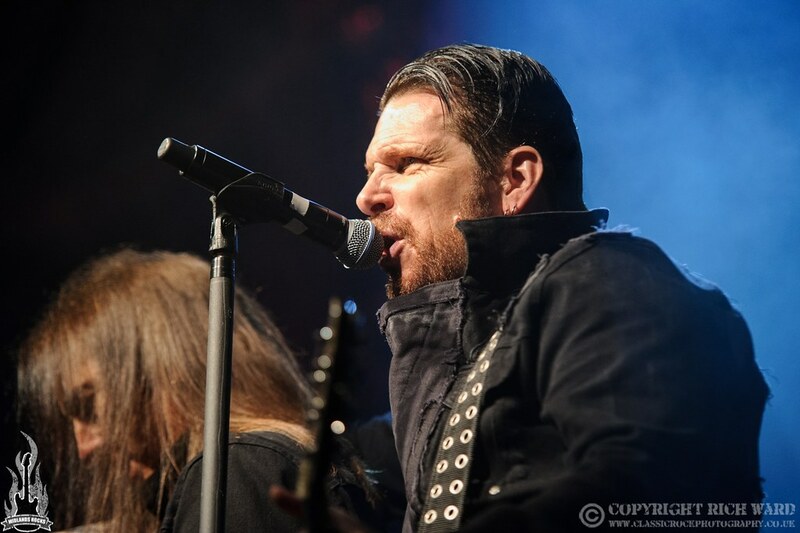 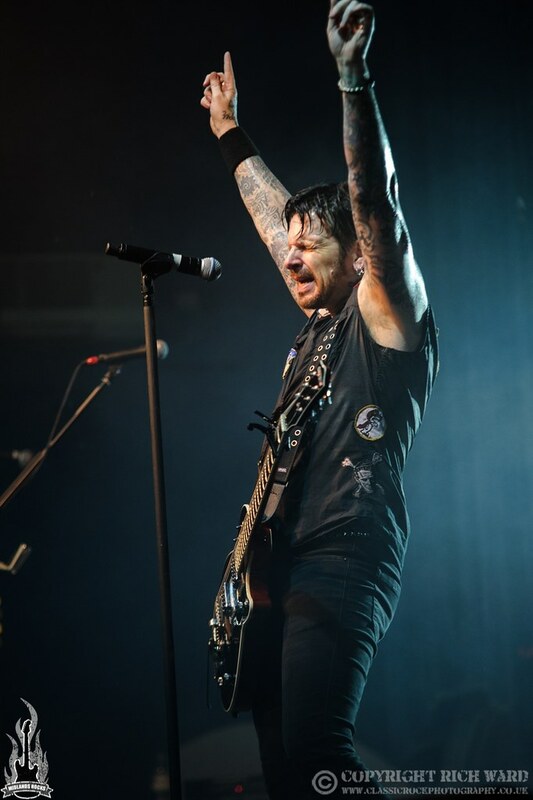 Ricky Warwick never fails to pour his heart and soul into a show giving 100% and tonight is no exception. The sweat is rolling off him by the third number. Scott Gorham still remains the epitome of the cool laid back guitarist, who effortlessly peels off blistering solo after blistering solo making it all look so damn easy. 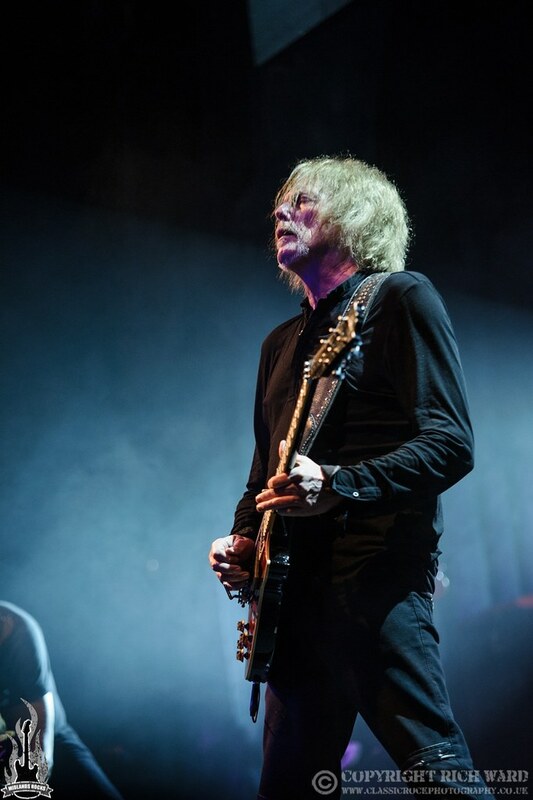 Tales if Irish conscription are delivered with conviction in ‘Soldierstown’ dominated by guitar harmonies and not too far removed from Lizzy’s ‘Emerald’. ‘Heavy Fire’ and ‘When The Night Comes In’ are somewhat heavier, finely crafted songs that demonstrate the progression made by the band on their more recent album. Warwick proudly announces that the following song was playlisted by Radio 2,”we are the housewives choice” he says with a glint in his eye as they launch into ‘Testify Or Say Goodbye’. The Celtic rock of ‘Kingdom Of The Lost’ again delivers wonderful melodies in spades and solos on a insistent rhythm from Chad Szeliga & Robbie Crane. 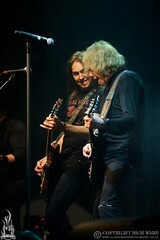 It’s a highlight of the set as Johnson and Gorham glance at one another with beaming smiles as they play the harmony parts. 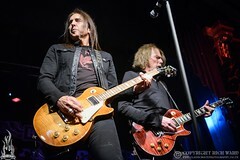 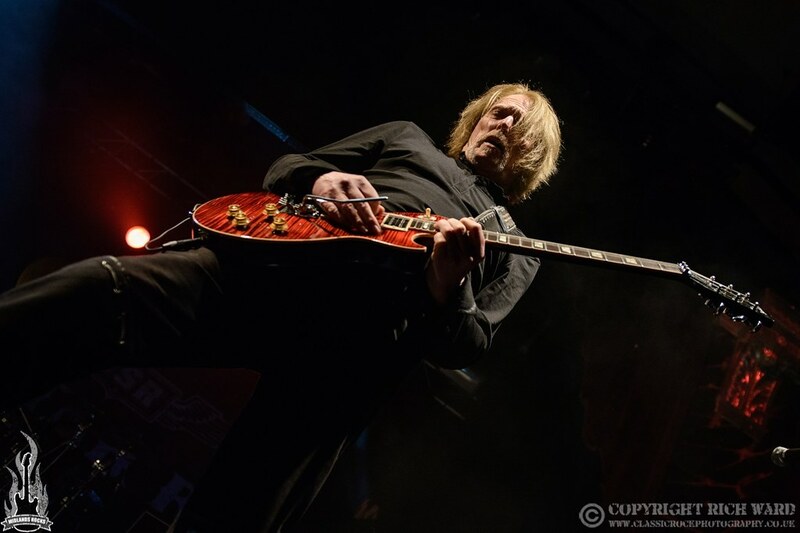 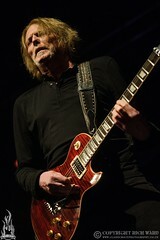 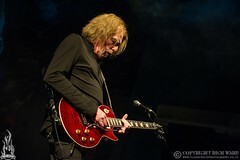 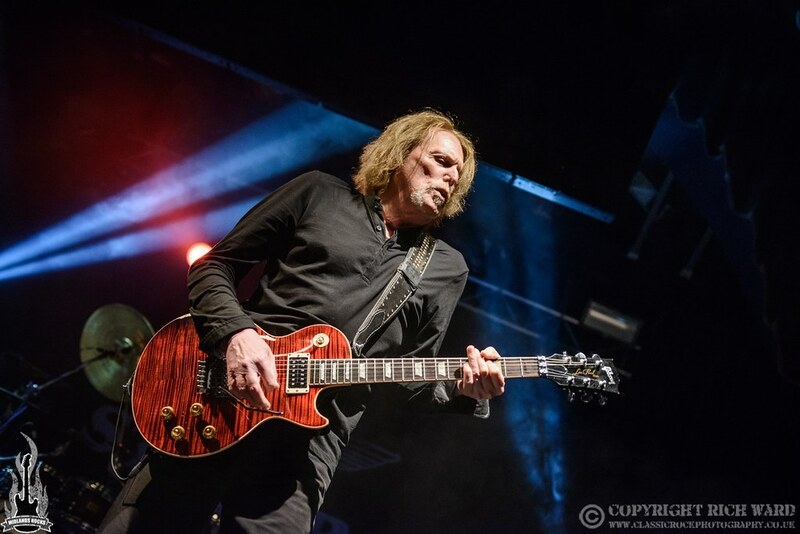 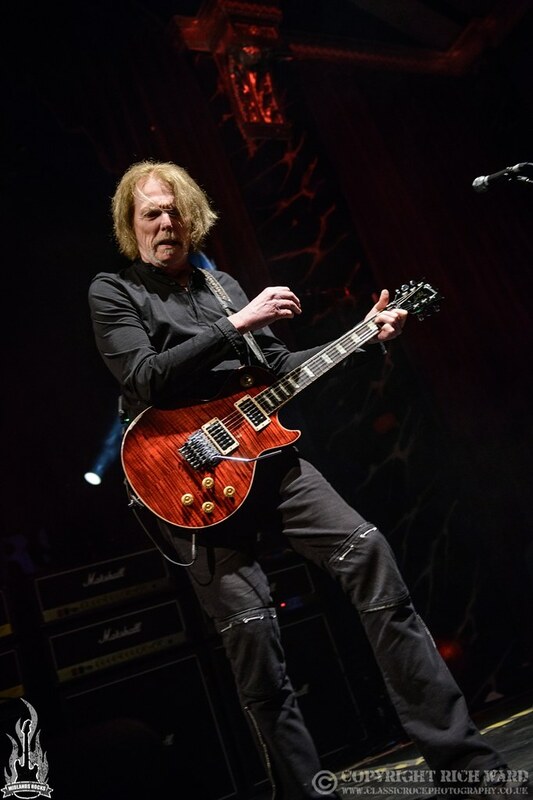 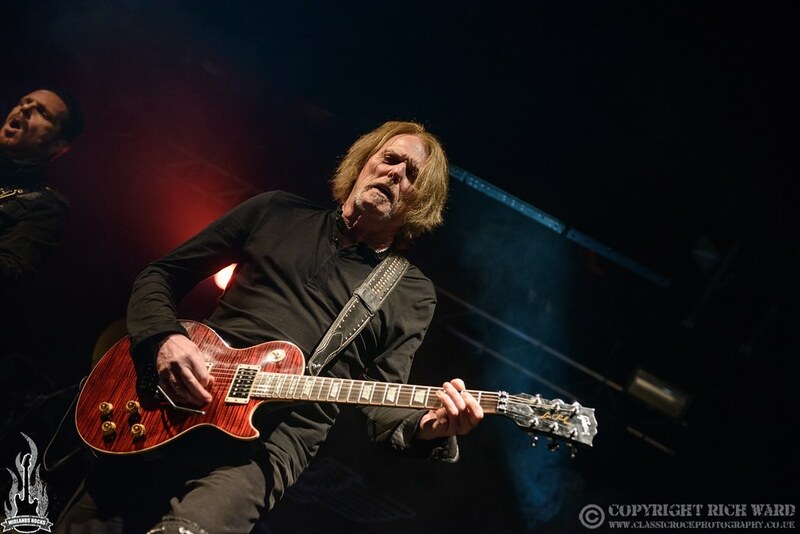 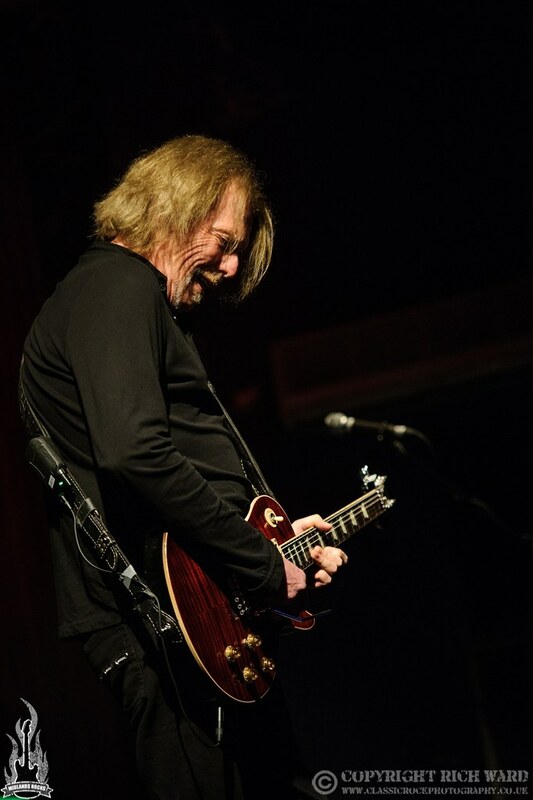 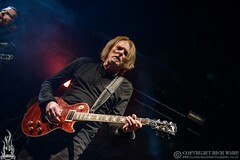 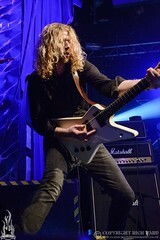 After the band introductions, Johnson takes to the mic with a heartfelt thanks to the fans for their support over the past 6 years, the joy he has found with a new songwriting partnership with Warwick and how incredible it has been to trade harmonies with his all time guitar hero, Scott Gorham. It seems he’s going to miss BSR as much as the fans are going to miss him. With a strict curfew in place, they eschew the encore ritual of leaving the stage, deciding instead to play through finishing on an uplifting ‘Finest Hour’ and perennial sing along favourite of ‘Whiskey In The Jar’. 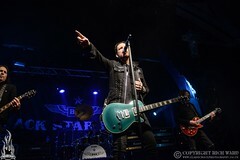 Tonight has shown just what a fine body of work Black Star Riders have amassed in such a short time, with a superb show. A tribute act they most certainly ain’t. 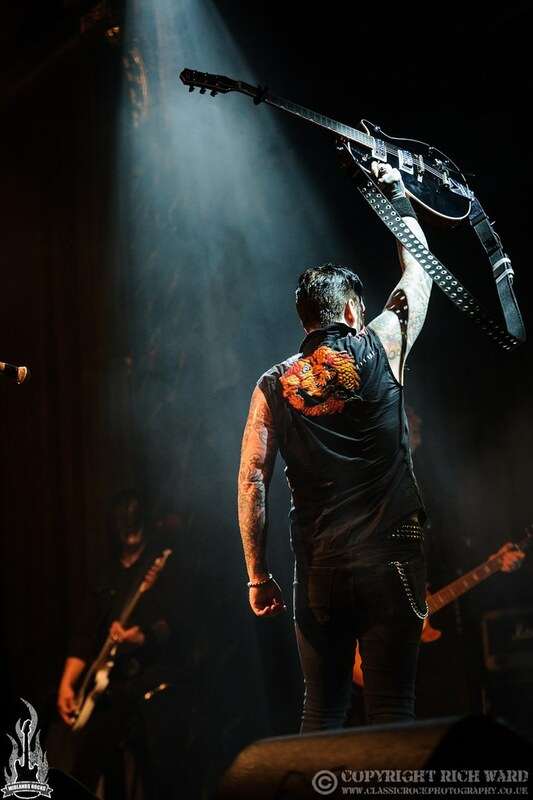 We wait in anticipation for the next chapter.